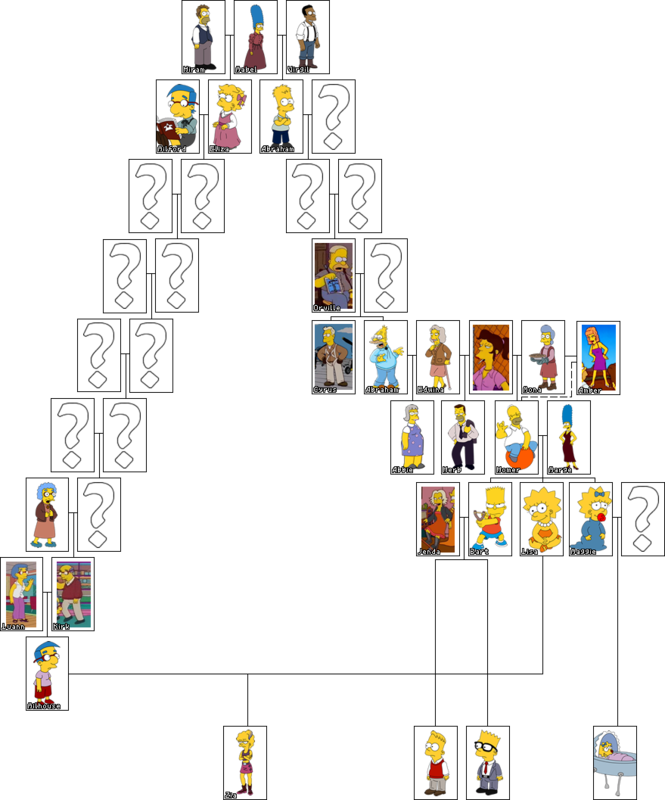 This is the Simpsons Family tree through the generations as showcased within the show. Some characters have a Biography and clicking on that character will take you to that biography. This tree only contains characters that have a defined position within the family, if only one side of a couple is confirmed or there are generational gaps, then these are question marked. The tree starts with the earliest known generation, as seen in MABF06 - The Colour Yellow.